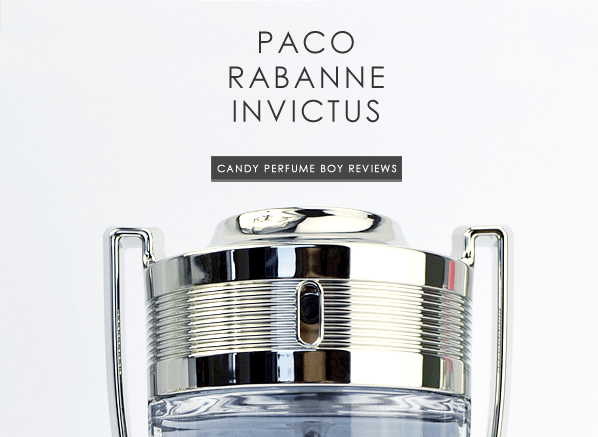 This week Escentual.com has been taken over by the launch of Paco Rabanne’s brand new fragrance ‘Invictus’. Unlike most sports-based fragrances, Invictus has one or two interesting nuances which you can read all about in my review by simply clicking on the image above to head over to Escentual’s blog. Image via Escentual. I post for Escentual as their Fragrance Expert/Blogger. Posted in Escentual, Masculine, Paco Rabanne, Perfume Reviews, Sports Fragrance and tagged Escentual, Escentual.com, Invictus, Masculine, Nick Youngquest, Paco Rabanne, Sports Fragrance. Bookmark the permalink. Why thank you. I went for a descriptive one over a critical one. It’s quite fun to approach perfume in this way from time to time. I like the name Invictus. It gives the image of strength. It tell so much about the person who uses it. The unconquerable soul. It’s a good name, I agree.